Today I tried for the first time some Korean Seaweed Snacks…love it! Comes in a little foil package and is called Roasted Seaweed Snack, not as quite as crispy as potato chips but fits the bill when you want something crunchy and a little salty! Right? 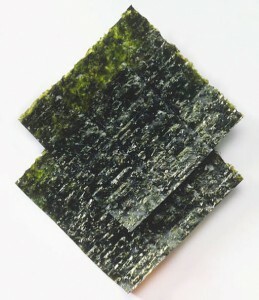 I LOVE seaweed snacks — don’t feel like I am sacrificing flavor or texture!